Colorado-based real estate agent finder and consultation service released a new channel with 11 consumer-oriented videos covering the most important topics to understand as first-time home buyers. A new YouTube video channel for first-time home buyers has just been released by SkyFor, Inc’s Buyer Agent Search service. The service is headquartered in Colorado and serves real estate buyers throughout the country who anticipate buying property in any city in the United States. The eleven videos guide first-time home buyers on critical first steps in the home buying process. The playlist includes videos about why to engage a real estate buyer’s agent, how to use a home buyer’s checklist, and how buyer agents get paid. A cartoon video will disclose the many pitfalls to avoid in the real estate purchase process. The most recent video is a radio interview on Denver’s KHOW station where Skyfor’s CEO explains how to determine who are the most qualified real estate agents for any area. In its latest blog, the Buyer Agent Search service provides key points made in each of the 11 videos . The blog includes such important topics as buyer’s agent responsibilities, benefits of hiring buyer agents and tips in finding top agents. A buyer agent’s duty is to protect the buyer’s interest from the start until the end of the home-buying process. The specific list of duties of the buyer agent is usually found in the buyer’s agent agreement. The agreement also puts in writing the terms of how the agent will be paid. Some of the responsibilities include, but are not limited to helping consumers find a home that meets their style and price preferences. Top agents negotiate the best deal in partnership with their clients. Responsibilities include searching out all properties, including for-sale-by-owner homes. Many will help evaluate loan packages. A good buyers agent will help list the pros and cons of properties, and show comparative property values to help their clients determine a good offer price. They also prepare paperwork on the written offer itself, and provide resources for warranties, inspections, and certifications. The primary responsibility of top buyer’s agents is to use their extensive experience and education to assist consumers to successfully close on a home. The duties mentioned above show that hiring a buyer agents may be a good idea for most home purchasers, especially for first time home buyers. Their fees are typically covered in the sales price of the property, so consumers can search for homes without an out-of-pocket expense. An excellent buyer’s agent will make sure the consumer’s specific wants and needs are thoroughly understood so they can suggest properties will fit the consumer’s criteria and budget. The videos demonstrate how top buyers agents help save the buyer’s time by researching comparable properties and by doing the paper work required by the state and federal agencies to complete the purchase. Buyer agents strive to make sure consumers get the best terms and price with their negotiation skills. They also provide access to financing information. They maintain lists of reputable vendors like local lenders, inspectors, plumbers, movers, etc. Their top priority is to promote the buyer’s best interests. The playlist of videos includes a list of questions to interview potential agents, and how to find agents who are members of professional associations. The tips include how to perform agent background assessments. The consumer is encouraged to find a buyer agent that knows the area very well, is highly-experienced, is honest and is prompt in staying in touch with the consumer. 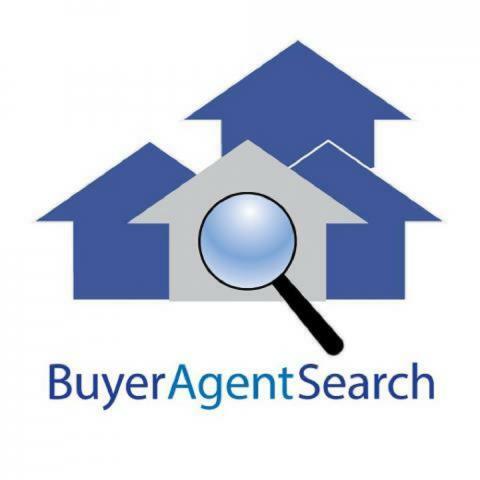 The Buyer Agent Search Service provides a 3rd party oversight of the agents who belong in it’s network. They typically offer 2 or 3 choices for consumers to interview, with immediate access to contact and profile information. The BuyerAgentSearch Network, managed by Kathleen Chiras, makes the home purchase process simpler and easier by providing recommendations of top agents at no cost. They help consumers determine the best agent for them by providing a set of good interview questions. Most of the agents in the network have been rated and reviewed for over 20 years. They undergo continuous scrutiny. Consumers may go to https://buyeragentsearch.com/find-a-buyers-agent/ to request a list of highly-experienced and highly-qualified agents anywhere in the United States. For exclusive buyer agents specifically in Colorado, buyers may visit the Colorado Exclusive Buyer Agents Association at https://homebuyerscolorado.org/find-buyers-agent/ Consumers may also call the headquarters office of Skyfor’s Buyer Agent Search Service for a free consultation 7 days a week.